The amount of boxing gloves on the market today can be overwhelming, especially to people new to the sport who just don’t know where to begin. Everything from glove size and type to the overall design can be confusing without having some prior knowledge. What Boxing Gloves Should I Buy? This boxing gloves buying guide will help get you on your feet by introducing you to the basics of boxing gloves and how best to find the pair that suits your individual needs. All purpose training gloves are designed for training with either sparring partners or punching bags. Their plush padding and wrist support are designed to allow for lengthy training sessions without leaving your wrists sore and sprained. Prone to being a bit heavier than normal, their weight can actually provide a good workout. Most gyms use training gloves when sparring matches are in session, due to their universally applicable nature and friendliness to beginners. Bag gloves are similar to all purpose training gloves, though they don’t have the heavy two-to-four layers of foam that are definitive of training gloves. If you’re looking to do some conditioning to curb the power in your punches, training gloves are a good idea, especially if you’re unsure about either yourself or your partner. With proper support, bag gloves can provide an excellent workout without leaving your wrists damaged. Made for lengthy sessions, good bag gloves will last you a full day’s workout without wearing you out with excessively heavy foam. Sparring gloves are the middle ground between training gloves and real competition gloves. 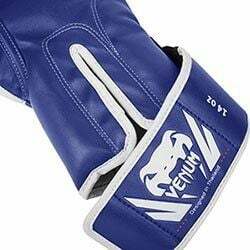 With just enough padding and support to accommodate extensive workouts, but not so much that it becomes weighty and incomparable to competition gloves. One of the main reasons for this is because competition gloves are lightweight so that fighters can quickly throw punches and bring up guards. 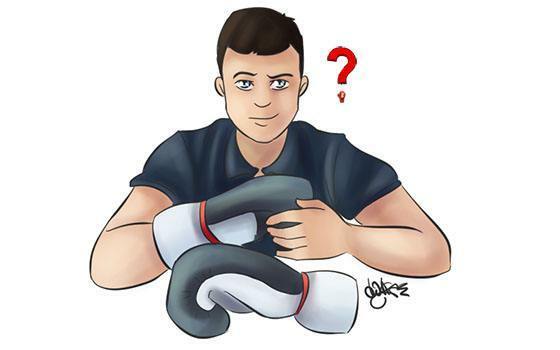 Some people recommend using actual competition gloves to spar, though this can be dangerous because beginners are prone to not hold back and wind up harming one another while training. Due to this, it’s best to use heavier gloves for sparring and lighter gloves for fights and competitions. Competition gloves are easily identified due to their minimal padding design. Often much heavier than their competition oriented counterparts, competition gloves are best suited for short matches between serious fighters in real competitions. It’s not recommended that beginners spar or bag train with competition grade gloves. It’s likely that you’ll spend a lot of time training before you have your first real competition, so you’ll probably want to take some time gaining strength and skill on the bag or with a sparring partner before you enter your first fight. Glove size is determined by several factors, fighter size, glove type, fighting organization and the type of competition being played. The larger you are, the heavier the glove (see the table below). Also, as mentioned above, training gloves also tend to be heavier. Your body weight is the key determiner of glove weight, as heavier weights denote a heavier glove. For example, an 180lb fighter would want training gloves weighted 16oz or more, while a fighter of 120lb or less would want 10oz-12oz training gloves. 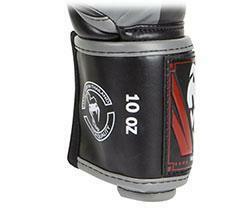 These sizes and weights can vary depending on glove sub-type, competition and other select criteria. Sparring gloves tend to be about 2oz heavier than training gloves per fighter weight. So a 180lb fighter would use a pair of 16oz training gloves and 18oz gloves for sparring. The extra padding means that both you and your partner will be safe from harm while you train. Competition gloves are the lightest. Often times size matters in whether or not your competition gloves qualify for actual competitions, so it’s a good idea to do research on that before buying a pair. 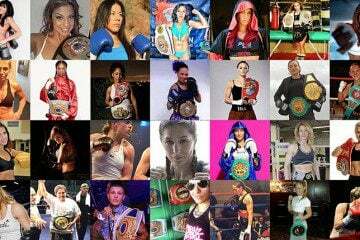 Among the vast amount of choices out there, it can be argued that companies like Winning, Cleto Reyes, Fairtex, Title, Rival, Hayabusa, Everlast, Venum, etc. Each of these makes have their own lines of training gloves as well as competition gloves, and their unique strengths and weaknesses add personality to each pair of gloves. Though Winning is in the lead with regard to overall quality, they’re highly expensive and many less expensive gloves can provide similar performance and quality. 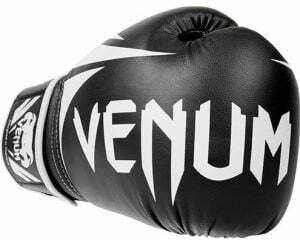 All of these makes are good choices, but Hayabusa and Venum seems to be one of the more popular training glove designers at the moment. One fact that usually determines what brand is proper to use depends on what organization you fight in and what type of boxing you practice. For example, if you were a Muay Thai fighter, you would want specialized Muay Thai gloves that are highly flexible, allowing you to do complex grapples and clinches on your opponents. This would obviously have an influence over what brand you choose, as as certain brands are better at certain styles than others. A good example of this would be that Twins and Fairtex develop excellent Thai style gloves. Cleto Reyes gloves are usually designed with a “lace up” style that is similar to shoelaces, and many boxers prefer it as a method for securing their gloves. Another common method is the Velcro strap design, which is made from a basic strap of Velcro that wraps across the wrist to secure the gloves and remove them afterwards. 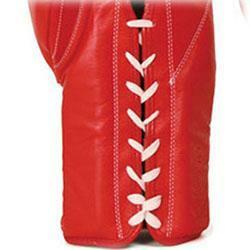 Fans of classic boxing gloves often shy away from this modern adaptation, but users of this style swear by its safety. Boxing gloves were originally exclusively designed in leather, though synthetic alternatives have been on the rise in recent years. Fans of classic boxing glove styles tend to favor leather exteriors, and the correct grain on leather can actually result in smoother strikes and lessen the risk of abrasion against sparring partners and bags. Synthetic exteriors are designed specifically to absorb blow impact and increase the amount that the glove will slip on instead of catch against its target. Since every type of glove has several different sub-types, it’s difficult to gather every bit of useful information into one boxing gloves buying guide. Regardless, after reading this article you should be ready to begin your search to find the perfect boxing glove for you. Boxing gloves reviews also can be helpful. But if you have any questions, feel free to ask in the comments area.